the OneAdapter Charger - Dual Input USB Charger elimIHAtes the need for multiple chargers and takes it to the next level! You’ll now have more power, more freedom to travel to any country, and more convenience than ever before to keep your device powered and charged. 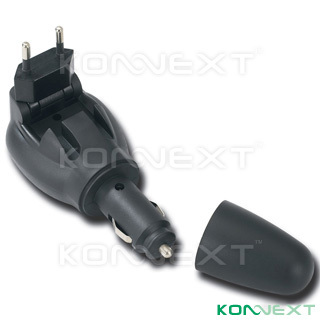 - Combines a wall charger, car charger, into one small form-factor! - Input current - 110mA @ 100Vac/50Hz with full load.